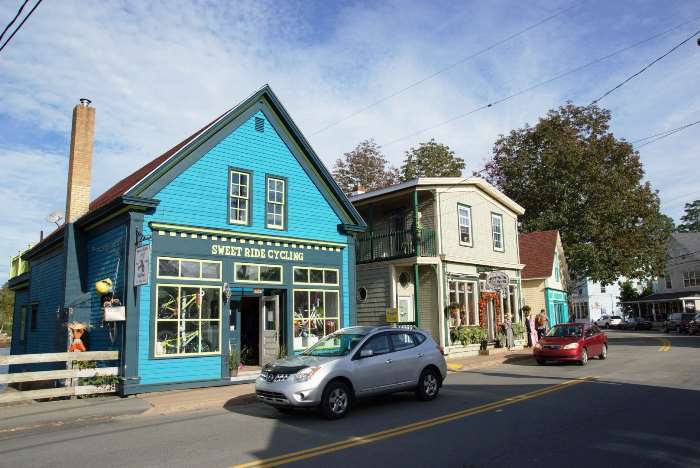 Follow the Lighthouse Route from Lunenburg to Halifax, and you’ll end up in another small town that’s just as delightful as Lunenburg. 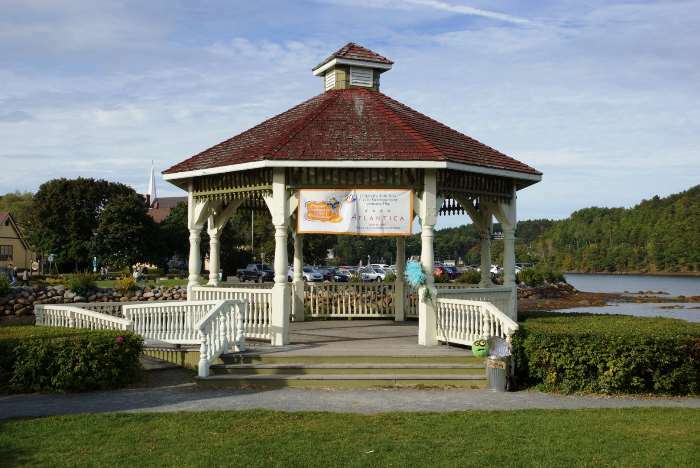 Up the road, just a few minutes away, you’ll pass through Mahone Bay – and it’s worth a stop. 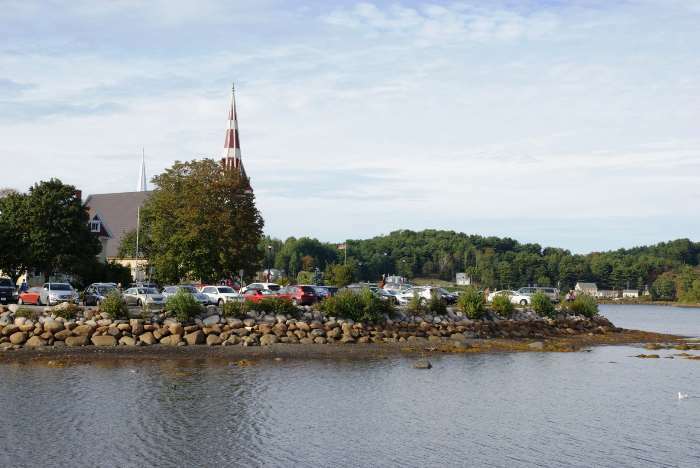 Mahone Bay is on Nova Scotia Trunk Route 3, about 11 kilometers from Lunenburg. 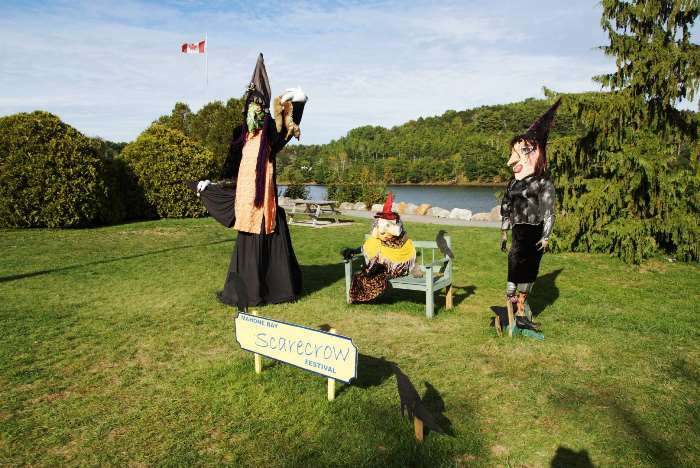 From Halifax, take Highway 103 to Exit 10, then take Trunk Route 3 into town. 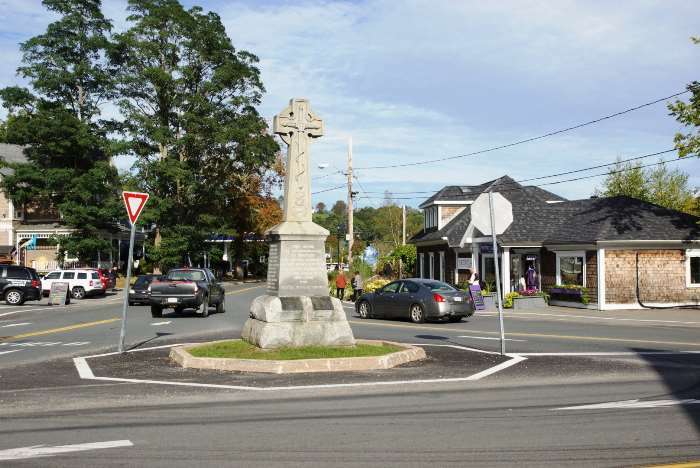 …a triangle- shaped intersection where Route 3 meets Route 325 — and then walked around for a bit. 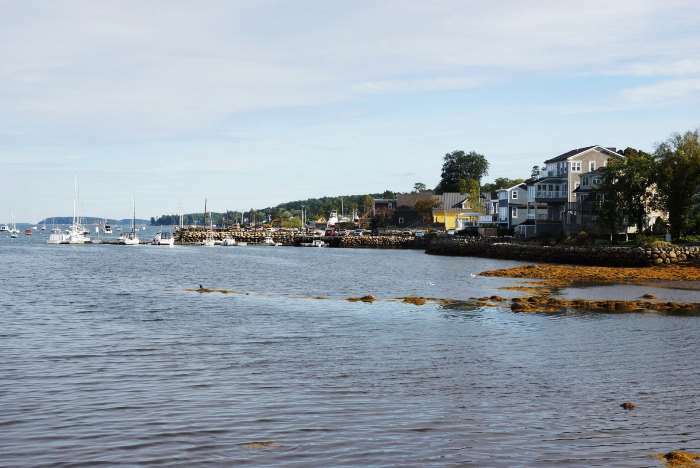 Just about anywhere you are in Mahone Bay, you’re near the waterfront, and you can look across on the other side of town. 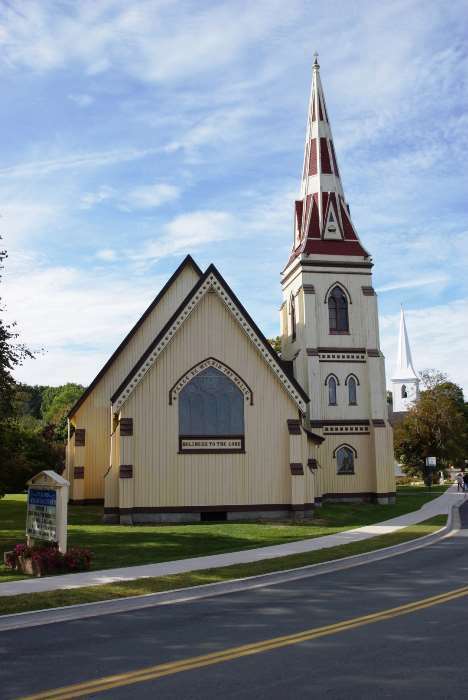 Mahone Bay is probably most famous for its churches. 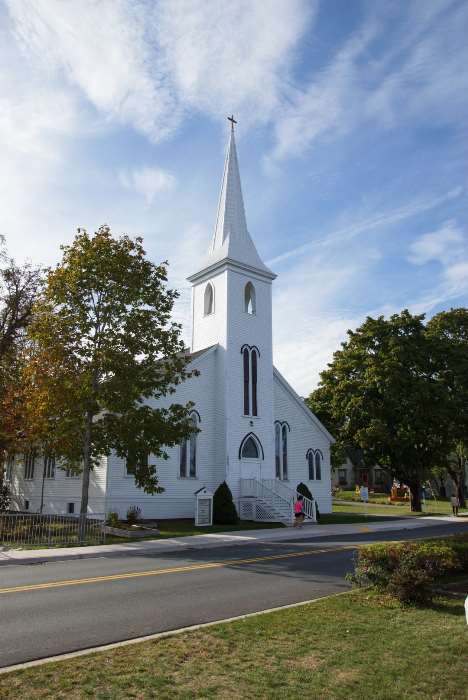 … followed by Saint John’s Lutheran Church, and finally, Trinity United, which for some reason I didn’t take a picture of, even though it’s right next-door to Saint John’s. Another thing I unknowingly missed: there’s an excellent (and somewhat famous) view of all three churches on the waterfront, from Oakland Road, on the other side of the inlet. 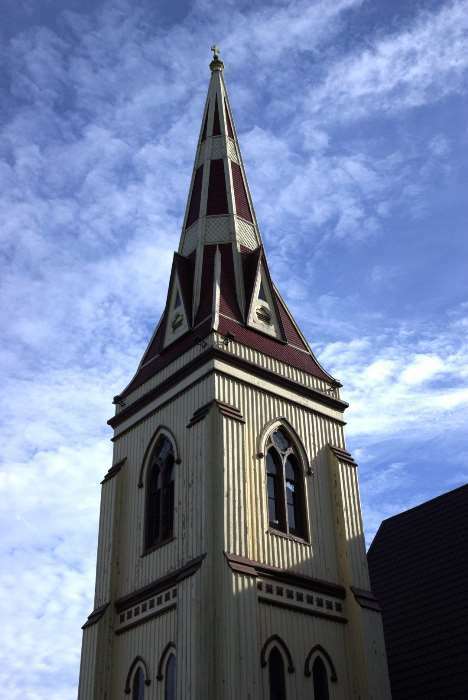 It would be especially beautiful in the morning hours, as the rising sun shines directly on the churches. 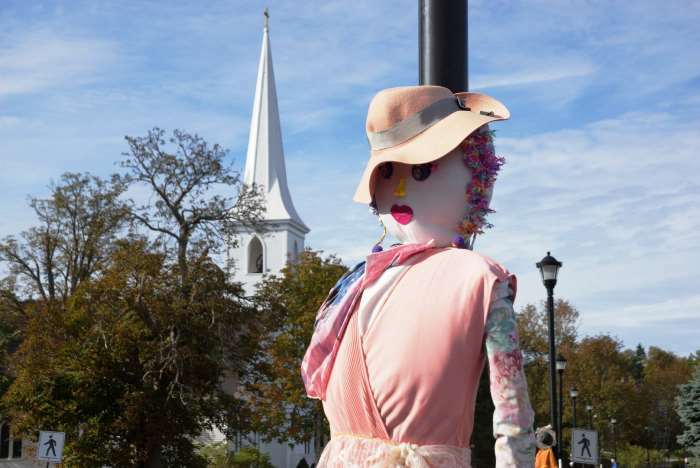 Come autumn, Mahone Bay is also known for something else: scarecrows. 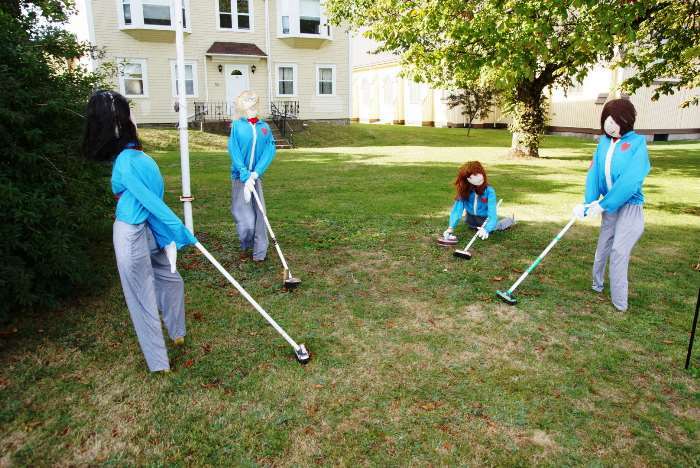 … and Pokémon chasing. 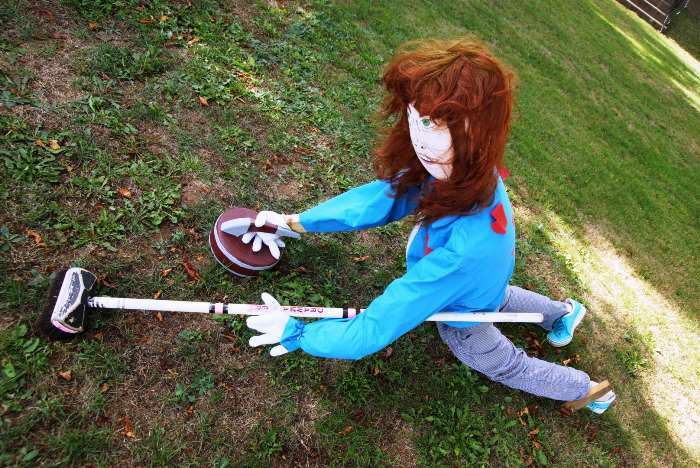 There are usually about 150 scarecrows, and you can take your family on a scarecrow hunt around town. 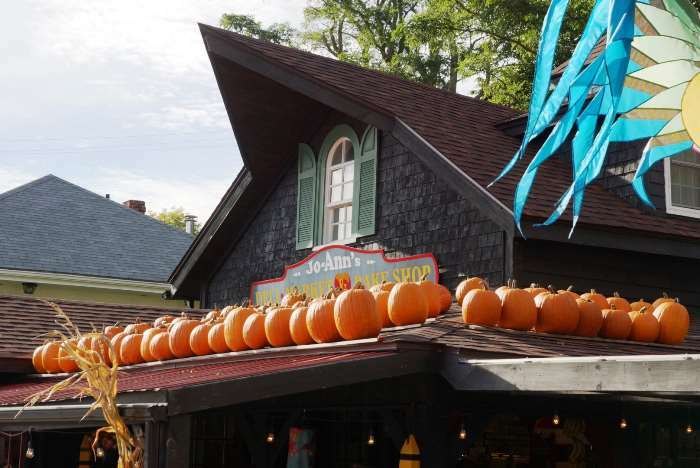 The festival also includes an antique market, pumpkin carving, and a candlelit pumpkin patch. If you’re going to be in town near the end of September, it might be worth planning your visit around the festival. 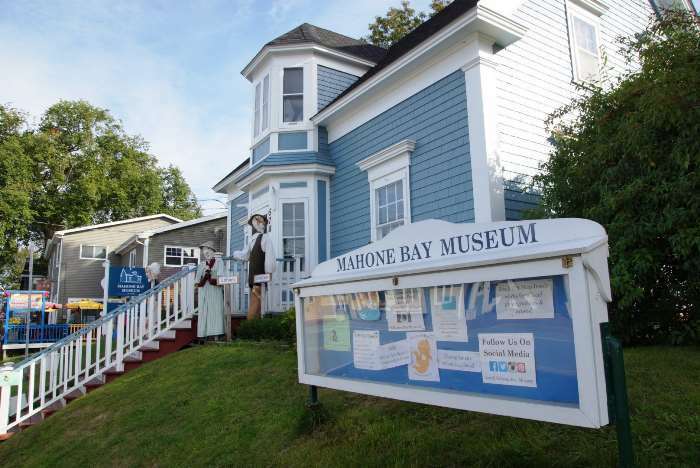 … and the Mahone Bay Museum offers free admission, although it closes during the winter months. After I left Mahone Bay, I stayed on the Lighthouse Route for a while. 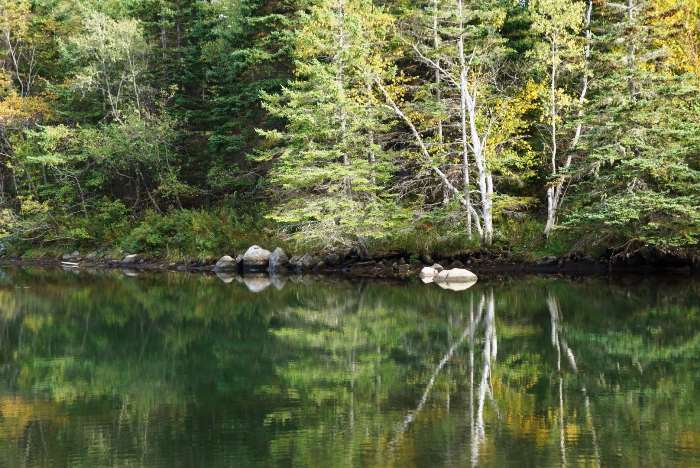 The road passes by some lakes and inlets, most of which were perfectly still, providing a glass-like reflection. I took this picture around Chester Basin. Just after this, I detoured into the town of Chester (you can see it in the Drivelapse video below), but I didn’t have time to do much exploring. 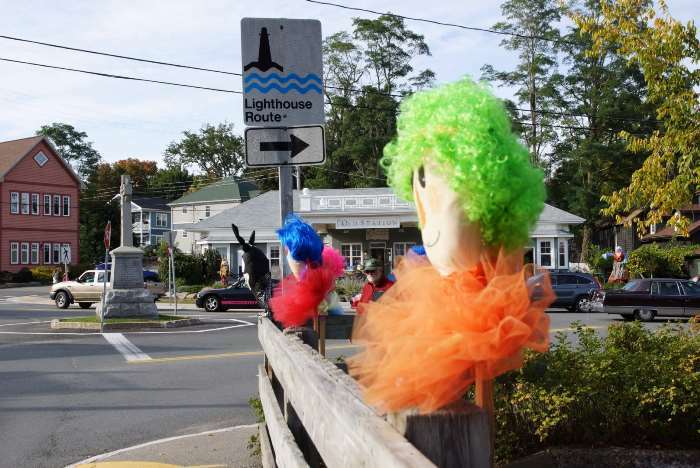 East of Chester, the Lighthouse Route makes a loop around a peninsula on Route 329. I took the shorter route, and stayed on Route 3. But, I did take the next detour, at Route 333, down to Peggy’s Cove — and I’m glad I did. 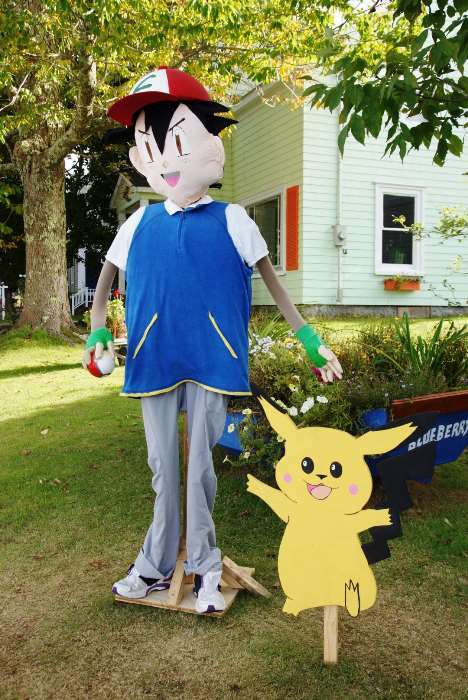 I found Mahone Bay to be every bit as charming as Lunenburg, and I wish I could have spent more time there. 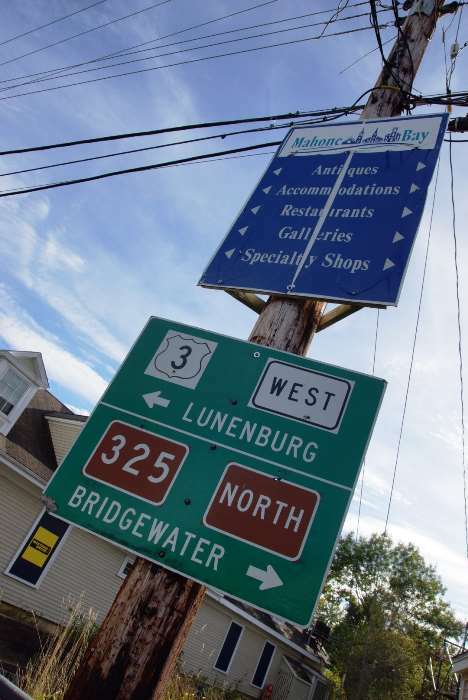 Keep in mind that the Lighthouse Route can be very slow and tiring to drive, so you may want to choose your destinations (like Mahone Bay, Lunenburg, and Peggy’s Cove), and then take the faster Route 103 between them.